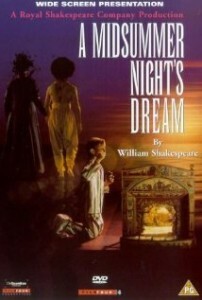 Howard Blake MIDSUMMER NIGHT'S DREAM - SUITE FOR ORCHESTRA in Overtures, Suites etc. 3: How now spirit, wither wander you? 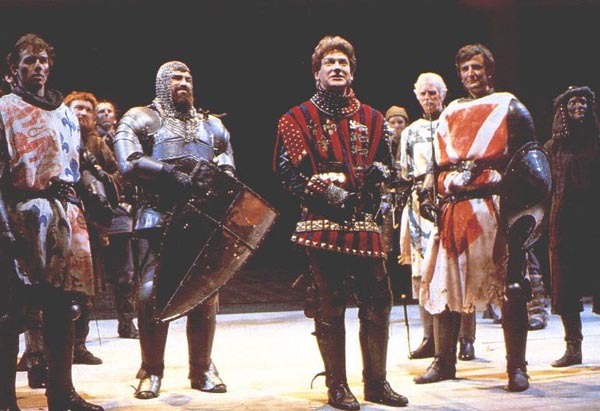 Composer's note: Adrian Noble invited me to compose my first serious theatre score with his remarkable production of 'Henry V' in 1984. The production with new discovery Kenneth Branagh was a great success and the following year Adrian invited me back to do 'As you like it', which included my composing music for all the songs. Later I was to adapt and develop these into a substantial concert song-cycle called 'Shakespeare Songs'. After that however I became too busy with other things and sadly had to decline offers, including 'Hamlet'. In 1989 I wrote cues for Adrian's production of Ibsen's 'Master-builder' but nothing else substantial. I was therefore very flattered when he invited me back in 1995 to write a real film score for his very innovative theatre production of Midsummer Night's Dream that Film Four had asked him to direct for television and cinema. I conducted my score for the recording in Whitfield Street Studios with members of the Philharmonia Orchestra, May 31-June 2nd 1996. Since Adrian's production included a motor-bike for the Mechanicals and a forest consisting of light bulbs, the score did not have to be set in a conventional 'mock-Tudor' style and the character of Bottom for instance is conveyed by a jazzy solo trombone. Unusually for an orchestral suite there are important parts for three sopranos. One solo soprano sings a wordless 'vocalise' inspired by Oberon's speech 'I heard a mermaid on a dolphin's back' and the three join forces for settings of 'Philomel with melody' and 'Ye spotted snakes', which has quite a rocky modern feel to it. A solo violin begins the work announcing the main theme, redolent of fairies flying through midnight skies and enchanted happenings. A Nocturne is played by solo bassoon, a solo horn over ominous repeated chords conjures up 'Ill-met by moonlight' and celeste weaves a tapestry with strings for 'I know a bank whereon the wild-thyme grows.' The finale takes us back to the Athenian court with some pomp and circumstance, but magic still lingers on into the pianissimo conclusion. This suite was specially created in March 2014 at the request of David Curtis and the Orchestra of the Swan and it celebrates the 450th birthday of William Shakespeare. And sword and shield in bloody field Doth win immortal fame. Tanya Houghton was the performer at the Orchestra of the Swan concert, but the original soloist was Vanessa Sundstrup, then just beginning her career. She has recently put her own recording of this piece on YouTube. She recalls “The harp was featured as a solo instrument as a symbol of peace and was actually on stage”. I well remember her gentle playing of Blake’s music while the audience was assembling, becoming, sadly, less and less audible as the auditorium filled up. Blake’s music is beautifully melodic and I particularly like the way that you can hear the wistful words of the song “But thither would I hie” in the music. Blake became associated with Adrian Noble’s productions, writing the songs for his As You Like It in 1985 which have also been sung in this concert series. The first concert featured another Shakespeare commission by the distinguished ex-RSC director Bill Alexander, (who also directed the stage version of The Snowman), for a student production of Twelfth Night. Blake’s version of O Mistress Mine was not actually used in the production so the concert on 16 May was its first performance. In Friday’s concert the Orchestra will play a suite of Howard Blake’s music based on that which he wrote for the film version of Adrian Noble’s production of A Midsummer Night’s Dream. This will be the first performance of this suite which Blake has created specially for the 2014 anniversary. In the programme note Blake comments “Since Adrian’s production included a motor-bike for the Mechanicals and a forest consisting of light bulbs, the score did not have to be set in a conventional “mock-Tudor” style and the character of Bottom, for instance, is conveyed by a jazzy solo trombone”. And “A solo violin begins the work announcing the main theme, redolent of fairies flying through midnight skies and enchanted happenings”. Theatre and film music can be overwhelmed by the visuals, so on this occasion it’s going to be great for the music to get the attention it deserves. This series of concerts has been a delight and I’d like to thank conductor David Curtis for the opportunity to hear so much Shakespeare-related music in concert, and not just the obvious pieces. As a bit of fun to celebrate Shakespeare’s birthday, the Guardian posted its suggestions of the best Shakespeare-inspired pieces of music. Several of the pieces that have featured in the Orchestra of the Swan concerts are included: Walton’s music for Olivier’s Henry V film, and Mendelssohn’s Midsummer Night’s Dream music which we will hear on the 6th. And nobody would argue with Bernstein’s West Side Story or Verdi’s Falstaff, but The Boys from Syracuse and The Lion King – really???? Even more oddly the selection consisted of pictures, with no links to any of the music. Sadly it’s too late to vote for any of the striking but lower-profile music like Howard Blake’s that’s been specifically written for Shakespeare on stage. Tanya Houghton was the performer at the Orchestra of the Swan concert, but the original soloist was Vanessa Sundstrup, then just beginning her career. She has recently put her own recording of this piece on YouTube. She recalls “The harp was featured as a solo instrument as a symbol of peace and was actually on stage”. I well remember her gentle playing of Blake’s musicwhile the audience was assembling, becoming, sadly,less and less audible as the auditorium filled up. Blake’s music is beautifully melodic and I particularly like the way that you can hear the wistful words of the song “But thither would I hie” in the music. 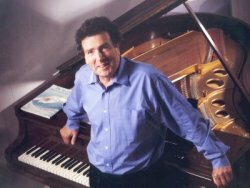 Blake became associated with Adrian Noble’s productions,writing the songs for his As You Like It in 1985 which have also been sung in this concert series. The first concert featured another Shakespeare commission by the distinguished ex-RSC director Bill Alexander, (who also directed the stage version of The Snowman), for a student production of Twelfth Night. Blake’s version of O Mistress Mine was not actually used in the production so the concert on 16 May was its first performance. Songs and score for a film of The Royal Shakespeare Company's production, starring Alex Jennings and Lindsay Duncan.